In the years between 1955 and 1960 Giancarlo Sette and some other amateur astronomers decided to create an astronomical observatory. Because of the extremely high costs, at that time, of an instrument that would have been useful, they decided to make a telescope themselves. They also looked for a suitable site to place the dome and after a long search, they received from the Municipality of Bologna, the permission to use the upper terrace of the liberty-style building of the Margherita Garden Park that, at those times, lodged the Children Library. In this period the collaboration with Giorgio Sassi, enthusiast of astronomy and physics began. He also had engineering studies behind him. Sassi at that time was running a cloth store with his brother, under the porch of the Pavaglione in Bologna. They had great determination and enthusiasm as well as the necessary skills, and so they began to build the instrument and the dome and they obtained absolutely extraordinary results. 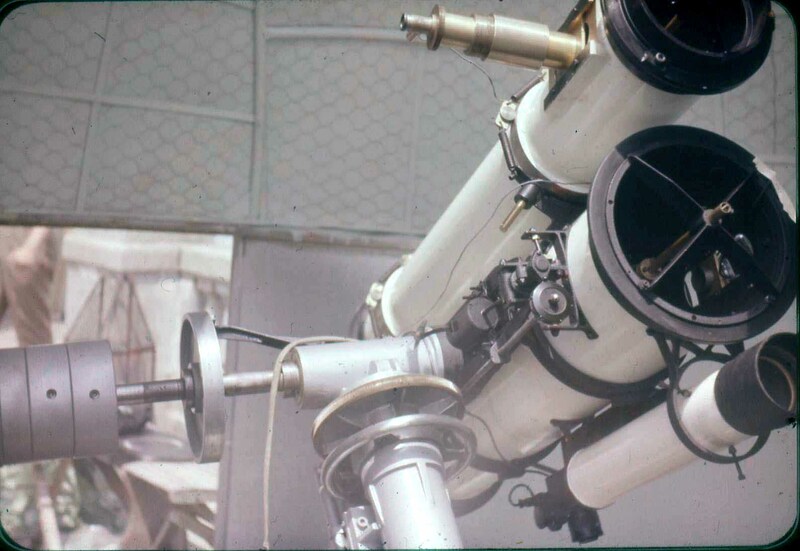 In the early 60's, the observatory was completed, it housed a Newtonian telescope of 22 cm on equatorial German mount endowed with a really accurate clockwise motion. On the same mount a guide telescope was placed, a reflector of 15 cm with a long focal, in order to perform the photographic recording. 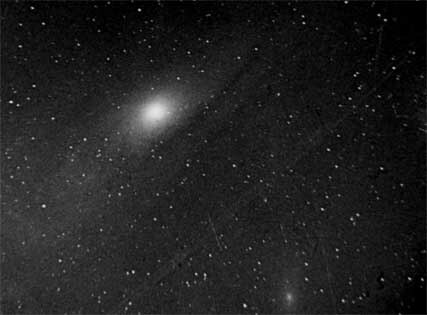 Above the Margherita Garden at that time the sky, which should be remembered, was quite dark and allowed the recording of diffused objects as well, like nebulae and galaxies. The structure of the dome was substantially made of tubes and, simple but extremely sturdy material that, even with several renovations, after half a century, is still efficient today. In the meantime the group was enriched with new members, inspired by the example of Sette and Sassi, Stefano Orlandi soon joined, he built a second dome, which no longer exists, that contained a Newtonian telescope of 25 cm on equatorial fork mount. Then Vignali joined and began the construction of a third dome, in order to accommodate a 30 cm telescope, but, for personal reasons, he was unable to complete the job. Since the ultimate aim of the group was not the construction of instruments but to carry out research in the astronomical field, very soon they began to use the telescope for astrophotography. Several tests were carried out on a lot of photographic emulsions in order to find the better ones. In those years, Mr.Sette managed a small cafè inside the Capitol cinema and the group usually met there, early in the afternoon, in order to have a coffee and to discuss any problem. Almost every day there were Sassi and other group members, and often, important people of the astronomical entourage of Bologna, were present, among these Umberto Dall'Olmo who, in those year graduated in physics. The activity of the observatory, that meantime had been equipped with a darkroom for developing plates and films, was continuing to learn photographic techniques, which would bring, considerable results in the future. While at the Margherita Garden they were manually guiding astronomical photos, for an hour and more, into the cold winter nights, to improve photographic techniques, another ambitious project was beginning: the construction of the San Vittore observatory. For this reason the human and material resources were concentrated on this new target, and the Margherita Garden dome gradually began to lose its popularity at the end of the 60's. The structure was entrusted to younger members but sometimes young people do not appreciate the things they own, often they expect to obtain great results without hard work and sometimes, they are very inconstant. So the observatory has crossed a long period of partial and discontinuous use and, in the 80's it was completely forgotten. 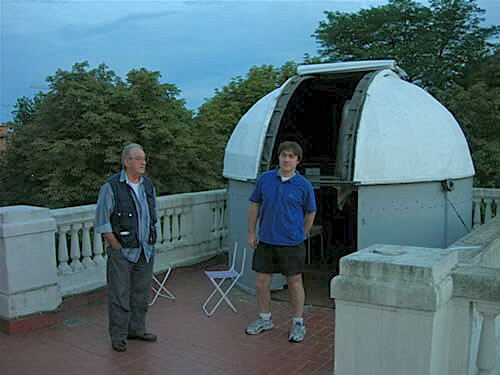 In the mid nineties, other amateur astronomers Giulio Pitteri and Andrea Sabbioni, upset that such a structure had been ruined, decided to restore the observatory. They brought back the dome to its original functionality. 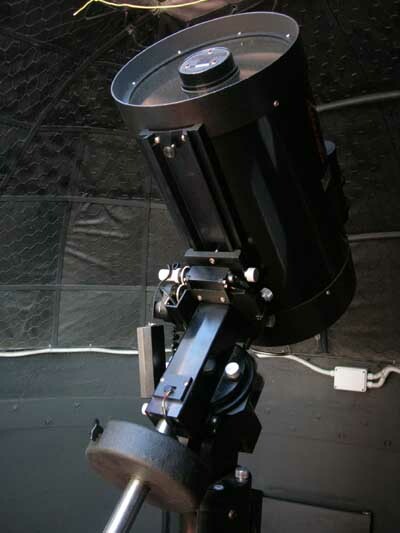 The old instrument, completely irrecoverable was replaced by a modern telescope Celestron CM 1100, thanks to the financing by the S. Stefano District. Therefore the present activity of the group began, in two fields: the one of research and the one of scientific expansion. The structure wants to offer to all those interested, the opportunities to be able to use high quality instrument, wich are not always available to individuals and to expand the competence reached in years of field experience.